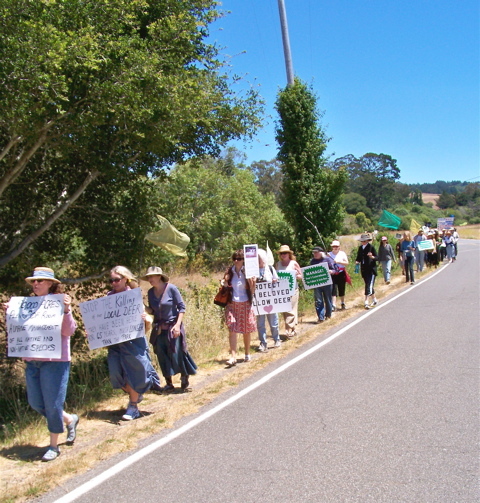 More than 40 peaceful demonstrators, mostly from West Marin, walked from Sacred Heart Church in Olema to Point Reyes National Seashore headquarters Sunday in a last-ditch effort to discourage the the park from killing its few remaining fallow and axis deer. 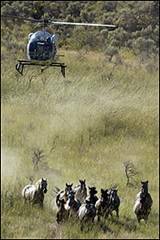 Despite public opposition, the park two weeks ago announced eradication was about to resume. 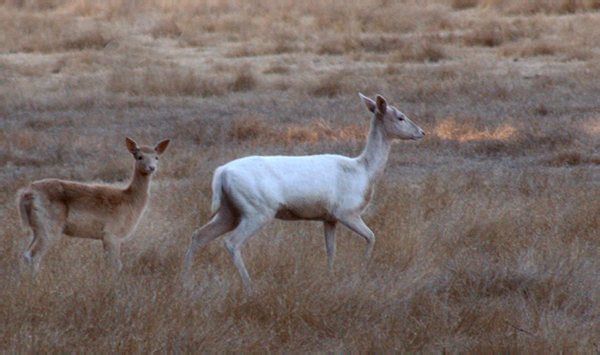 Opposition to Park Service plans for killing the fallow and axis deer has been so widespread that National Seashore Supt. 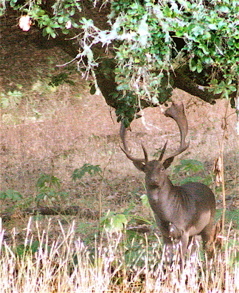 Don Neubacher in 2005 temporarily placated the public with assurances that eliminating all 1,000 deer would take 15 years. 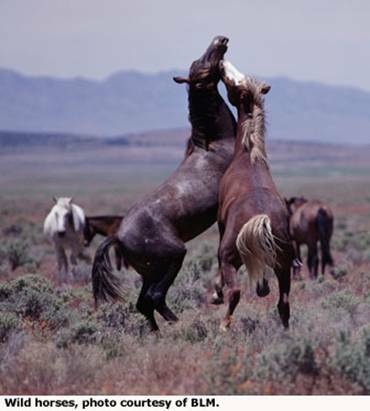 There would be plenty of time to find other approaches for controlling herd sizes between now and then, he told a public meeting. But — like so many of Supt. Neubacher’s public statements — the assurance was untrue, and late last fall, the park set out to kill off all 1,000 as quickly as possible. Moreover, the brutal way in which the first 800 or so deer were killed — many left in the wild to suffer long, agonizing deaths from gut wounds — offended hunters as much as the general public. Eventually, US Senators Dianne Feinstein and Barbara Boxer, Speaker of the House Nancy Pelosi, three other Bay Area members of Congress — Lynn Woolsey, George Miller, and Anna Eschoo — and Lt. Governor John Garamendi all called for a moratorium on the killing while the use of contraception was studied. But Supt. Neubacher was as quick to thumb his nose at members of Congress and the lieutenant governor as at members of the public. A bureaucrat who thrives on defiance, Neubacher two weeks ago rejected contraception studies by the Humane Society of the United State, which is willing to help administer the birth control. He instead announced he would proceed with the killing posthaste. In trying to justify his nativistic eradication of un-American deer in the park, Supt. 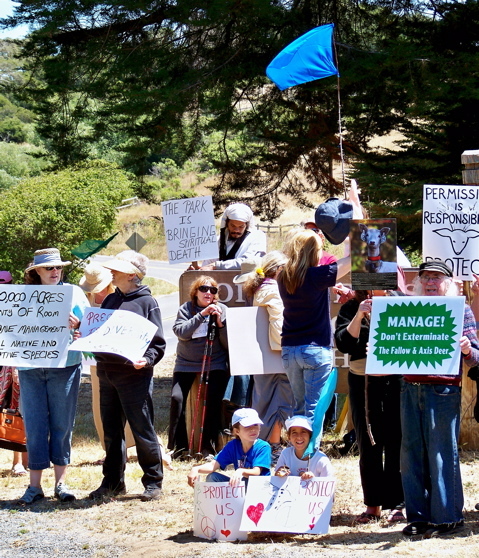 Neubacher’s administration, as most West Marin residents realize, fabricated the problems the deer were supposedly causing. SAN FRANCISCO — A report issued by the Office of the Inspector General for the U.S. Department of the Interior has concluded that the National Park Service knowingly used false scientific data to bolster its attempt to drive a local oyster company from the Point Reyes National Seashore area. The investigation conducted by the Inspector General reveals that Park Service officials made false scientific claims, misled other federal authorities and attempted to hide data that called into question the veracity of the Park Service’s case. The report details how the Inspector General’s Computer Crimes Unit recovered an email apparently deleted by the National Park Service’s lead scientist that showed the government agency was knowingly misrepresenting environmental data. Park Service officials are accused of engaging in a campaign of intimidation and disinformation to damage the operation of the Drakes Bay Oyster Company. Investigators concluded there is no scientific evidence to support Park Service claims that the oyster company was responsible for pollution or damage to the environment. The Lunny family says it will now seek “restitution for interference and harm to its business.” The family praised Senator Dianne Feinstein for demanding justice in this case of alleged government abuse of a small family business. In April 2007, Park Service officials had threatened to seek civil and criminal charges against the Lunnys, claiming that their oyster beds were harming seals, damaging eelgrass and polluting waterways. “Based on the research conducted by several scientists, the Inspector General concluded that the data used by the Park Service was flawed and unreliable,” said Mr. Singer. 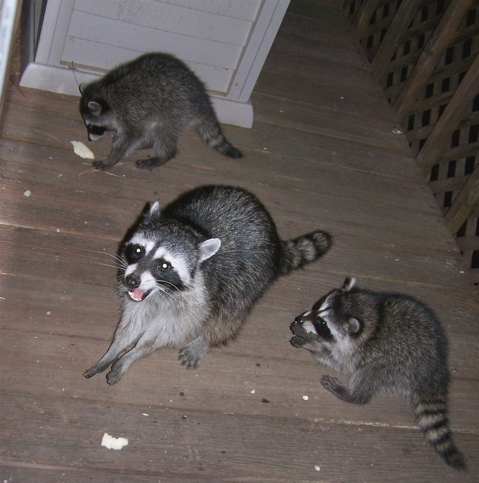 “People seeking food will see an opportunity to hunt, gather, or cultivate. People who are well fed, but seek spiritual sustenance in nature, will see a refuge. Wildlife biologists will see a laboratory, archeologists a dig, real estate developers a suburb, park managers a place of employment.” — Mark Dowie of Inverness. 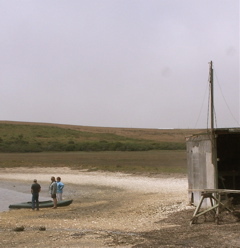 A small group of Point Reyes National Seashore visitors buying oysters from Drakes Bay Oyster Company and quietly picnicking beside the water a couple of weeks ago. The tranquility at the oyster company contrasted with the folks screaming in excitement at another national park 200 miles away. 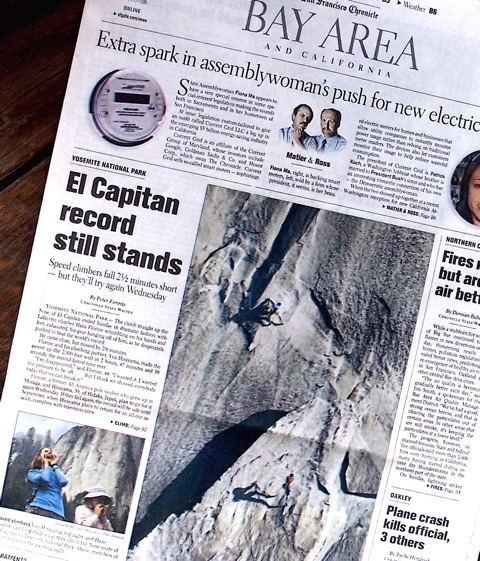 In Yosemite, two rock climbers set a speed record for going up the face of El Capitan. The climbers, one from Lafayette and one from Japan, shaved 2 minutes and 12 seconds off the 2 hour, 45 minute, and 35 second record held by two German brothers. Back at Drakes Bay, oyster-company owner Kevin Lunny is fighting an attempt by National Seashore Supt. 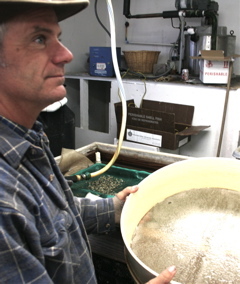 Don Neubacher to close the oyster farm when its lease runs out in 2012. Drake’s Bay Oyster Company’s parking lot in the foreground and the Coast Guard’s white buildings in the background. But it’s a stretch to call Drakes Estero even “potential wilderness.” By act of Congress, the land around it is reserved for agricultural. 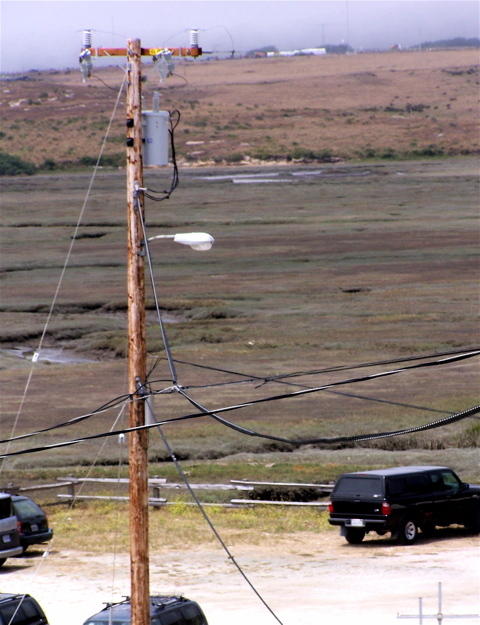 From the oyster farm, visitors can view not only this “pastoral zone” and traffic on Sir Francis Drake Boulevard but also a US Coast Guard Communications Station. One chunk of parkland that is in a designated wilderness area is El Capitan. 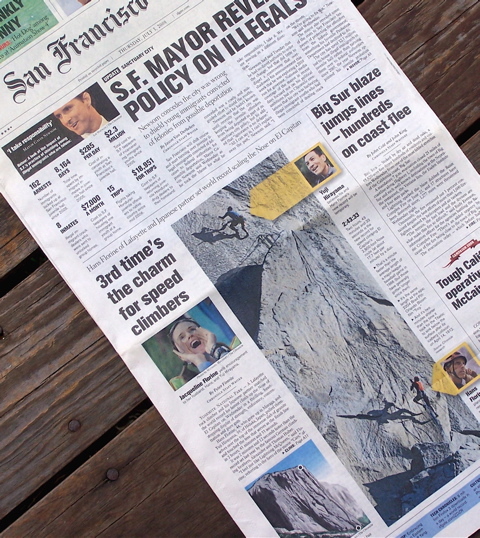 The 3,000-foot-high granite monolith is part of what the Park Service boasts is “one of the world’s greatest climbing areas.” Not surprisingly, members of the press and public were on hand for a week to hoot and holler as climbers Hans Florine and Yuri Hirayama repeatedly scrambled up El Capitan. Hirayama has said that if he climbs the rock again, he’ll bring a movie crew from Japan. Encouraging an international hullabaloo in the Yosemite wilderness area is apparently appropriate when the national park is looking for good publicity. In their own way, national parks do a fair amount of huckstering. The National Seashore, for example, holds sandcastle contests at Drakes Beach every Labor Day to lure crowds to Point Reyes. So what activities are appropriate in a “wilderness” area? 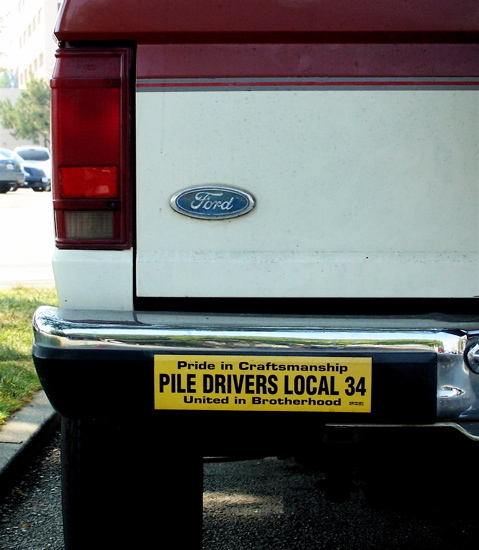 That apparently depends on the park superintendent of the moment and whom he likes or doesn’t. 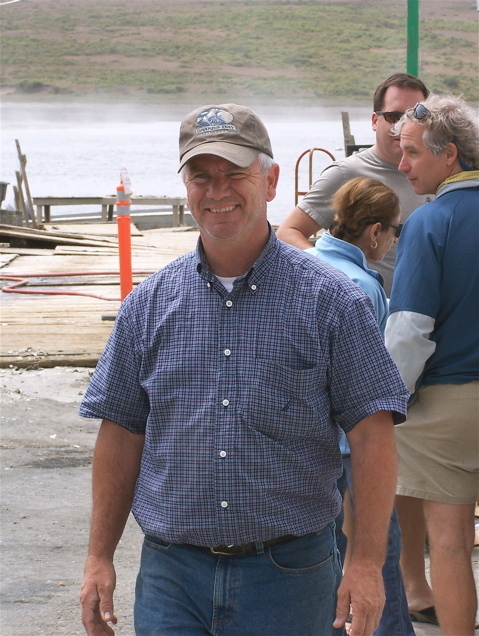 Ever since Lunny helped organize the Point Reyes Seashore Ranchers Association so that ranchers could put up a united front in negotiations with the park, Supt. Neubacher’s Administration has made it clear they don’t like the oyster grower/beef rancher. 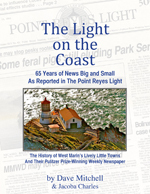 And what about the 2 million visitors a year the National Seashore attracts to Point Reyes. By any chance do they affect the wilderness around here more than a low-key, family-owned oyster company? Or the National Seashore’s filling in a wetland at Drakes Beach to provide parking for for this multitude… how did that preserve nature? “‘When I use a word,’ Humpty Dumpty said, in a rather scornful tone, ‘it means what I choose it to mean — neither more nor less. '” — Alice’s Adventures in Wonderland. This is a story about Point Reyes Station’s ubiquitous pink roses and how I once happened to rescue a few wild ones. 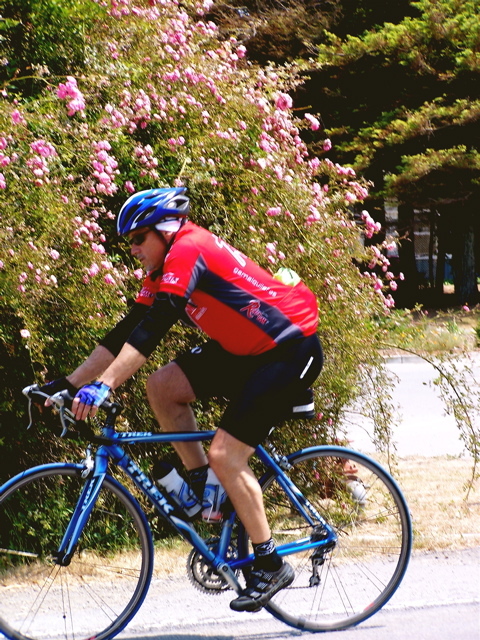 One of the many bicyclists passing through town pedals past climbing roses in front of West Marin School. 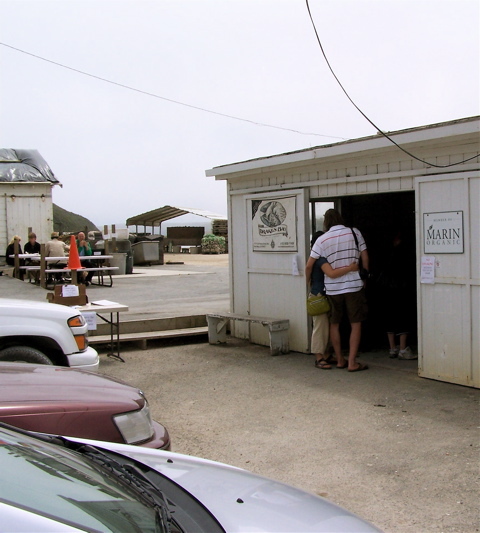 When I came to town in 1975, Toby’s Feed Barn was located in the old Livery Stable building at Third and B Streets in Point Reyes Station. The Tomales Bay Foods building next door was a haybarn. In those days, Toby’s Feed Barn was just that — an outlet for hay transported by Toby’s Trucking. Some of it was grown on family land in Nevada. In 1976, Toby’s Feed Barn moved into the old Diamond National lumber building on the main street where it now sells everything from bales of hay to gourmet foods to fine art. Toby’s Trucking, which already had facilities in Petaluma, moved the last of its operation out of Point Reyes Station. The livery stable building, where trucks had been serviced and hay stored, was sold a couple of years later along with the haybarn. Toby’s Feed Barn and Trucking had begun in 1942, so there was an accumulation of old truck parts and other detritus of a trucking-and-hay business to be cleared away before the buildings changed hands. Back then, John’s Truck Stop was located on Fourth Street where the Pine Cone Diner is today, and watching the cleanup from across the way was owner John Ball. Wild roses transplanted 30 years ago to my cabin. 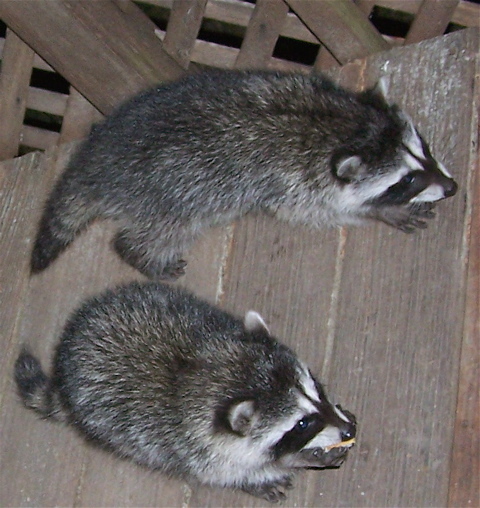 Unlike many roses, these are pretty much ignored by deer. The Truck Stop owner had once been a driver for now-deceased Toby Giacomini, and he asked if he could have some of the wild roses growing where the cleanup was underway. 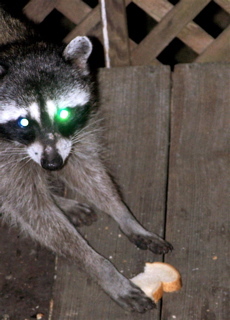 “Help yourself!” Toby immediately responded. John took a few and encouraged the late Lt. Art Disterheft of Olema, then commander of the Sheriff’s Substation, to dig up a few more for himself. Art, as it happened, had just come down with the flu and was in no shape to dig up roses, so he passed the offer along to me. There were three degrees of separation between Toby’s “Help yourself!” and me, but I accepted nonetheless. 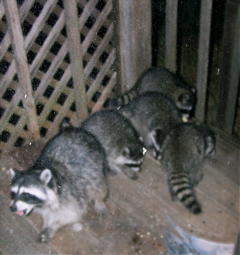 After all, I reasoned, the area would soon be cleared, which it was. Digging up the roses was an amazing experience. It took a pick, as well as a shovel, to free them, for they were not growing in topsoil, as you and I think of it. These roses were rooted mostly in clay, baling wire, and old engine oil. 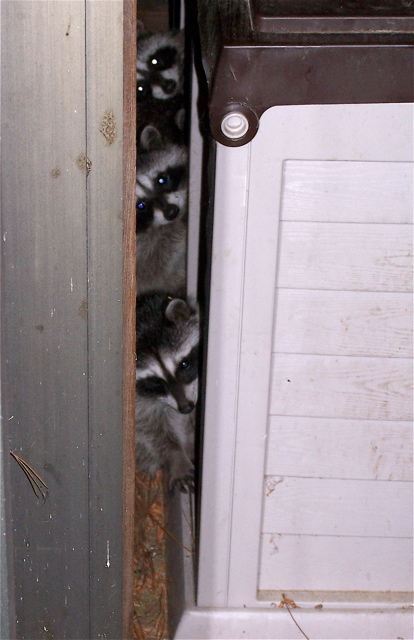 While moving them, I had to worry as much about getting greasy as getting pricked. The roses’ hardiness was, however, encouraging. The wind across my pasture on the hill sometimes blows so relentlessly that it had withered all the flowers I’d tried to grow around the cabin. I figured these roses could withstand anything, and they have. In fact, without their annual pruning, my hot tub would soon be overgrown by a prickly, pink jungle. The rose now growing in front of my deck, Rosa Californica, is one of less than a dozen native to this state. 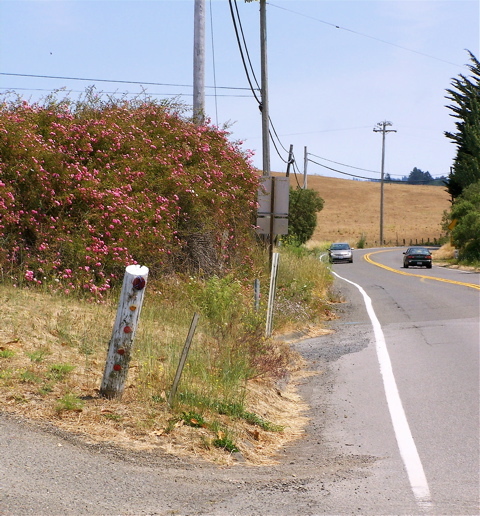 In downtown Point Reyes Station, an example of a five-petaled antique rose can be seen at the corner of Highway 1 and Mesa Road (above) in front of Jane Quattlander’s home. Several varieties of domestic pink roses have gone feral around town, for birds can spread rose seeds. 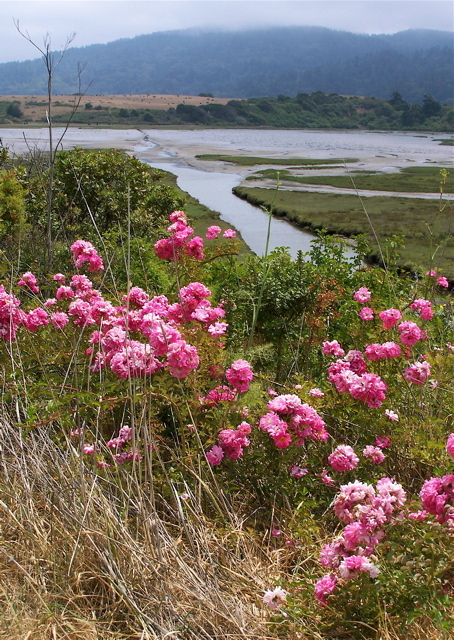 These unidentified roses are growing at Bivalve overlooking the foot of Tomales Bay. Bivalve, now little more than a dirt turnout off Highway 1, was once a whistlestop on the narrow-gauge-rail line between Point Reyes Station and Cazadero. Climbing roses along Highway 1 frame a view of Black Mountain. 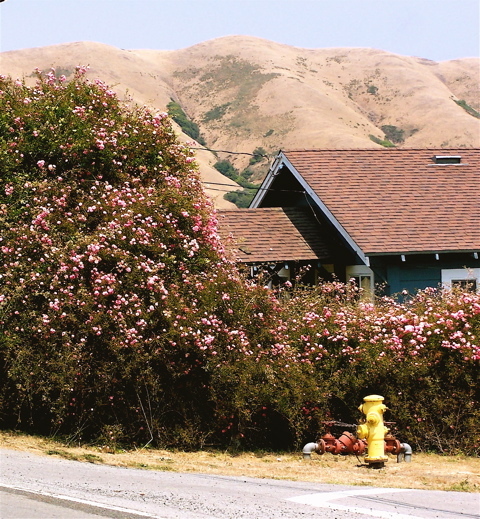 Several West Marin towns are associated with particular flowers. An abundance of nasturtiums helps give Stinson Beach its colorful character. Primroses have become symbols of Inverness, thanks largely to the Inverness Garden Club’s annual Primrose Tea. 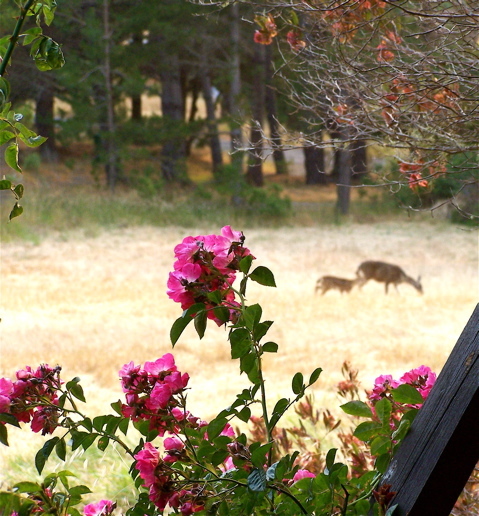 With pink roses dotting so many Point Reyes Station vistas, we’re obviously the town with the rosiest outlooks. 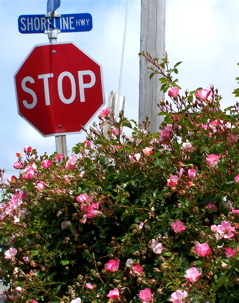 An immense thicket of climbing roses along Highway 1 marks the southern edge of Point Reyes Station. This wall of thorns and pink blossoms borders the entrance to the Genazzi Ranch. Sparsely Sage and Timely is powered by	WordPress 4.9.10 and delivered to you in 0.333 seconds using 39 queries.